What is the Difference Between iLASIK and LASIK? If you are fed up with the inconvenience of glasses or contact lenses, but can’t get by without them, then you may be looking for a more permanent solution to the problems with your eyesight. Whether you are far-sighted, near-sighted or suffering with astigmatism, you could benefit from LASIK laser eye surgery. LASIK is a modern, effective treatment that addresses all refractive vision problems and can dramatically reduce, or completely eliminate your reliance on prescription eyewear. If you have been considering LASIK, then you may have also heard the term iLASIK and believed them to be the same treatment. While both are types of laser vision correction, they are not one and the same. Here’s what you need to know about the differences between iLASIK and traditional LASIK treatment. LASIK is the most conventional form of laser vision correction. Approved by the FDA in 1995, it has been successfully implement for more than two decades. It is the most popular form of laser vision correction, with more than 600,000 procedures performed in the United States in the last year alone, and that number is predicted to increase every year until at least 2020. Before the cornea can be reshaped, Dr. Goel needs to create a flap in the outer cornea so that the underneath – known as the stroma – can be accessed. To do this, Dr. Goel uses a microkeratome, which is a small, bladed instrument. While this is an incredibly effective process, it still leaves a small margin for error, as the flap is created by-hand. iLASIK is a new and improved alternative to conventional LASIK laser eye surgery. While the principles of reshaping the corneal tissue to improve vision remain the same, innovations in the field of laser eye surgery have allowed iLASIK to offer patients all of the benefits of traditional LASIK and more. ​​​​​​​iLASIK is what is known as a blade-free procedure. This means that the entire surgery is carried out using cutting edge laser technology, increasing the accuracy and safety of the surgery is performed. With blade-free iLASIK, the laser is pre-programmed with the information it needs to make the incision into the eye with minute precision and perfect stability. As such, there is a significantly reduced likelihood of complications forming as a result of inaccurate thickness of the incision into the corneal tissue. Some studies have shown that iLASIK is 25 times more accurate than traditional LASIK procedures. Another key benefit of iLASIK is the iDesign technology that it uses. iDesign captures more than 1200 microscopic and unique imperfections in the eye, which it uses to create a highly detailed topography or map of your eye, making it easier for Dr. Goel to pinpoint the areas that need addressing with accurate precision. If you are considering laser eye surgery, then you are most likely a candidate for LASIK and iLASIK surgery. 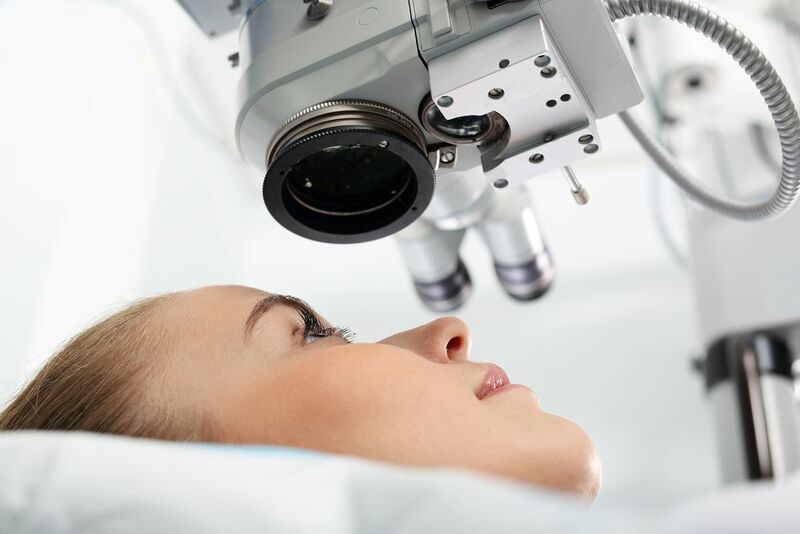 Call Sonny Goel, MD in Baltimore, MD today at 410-324-6700 to schedule a consultation appointment, and find out which laser eye correction procedure will be best for your ocular needs.